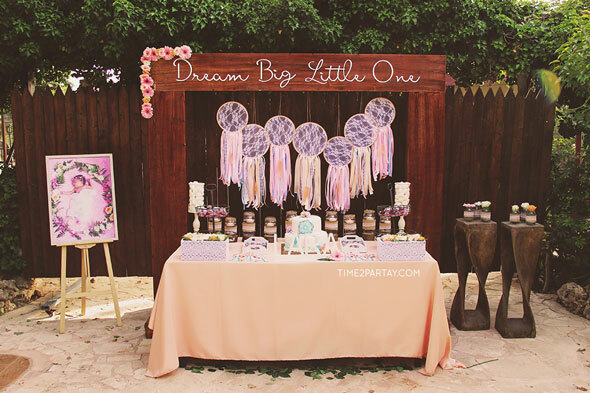 This Dream Catcher Baby Shower was planned to welcome an adorable baby girl into a family that deserved a special and memorable event to celebrate! 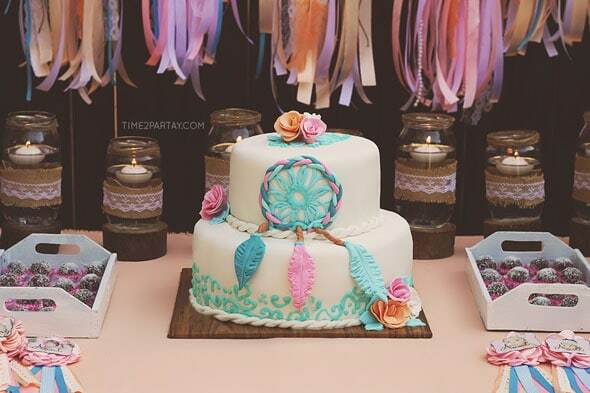 Baby Lara is a dream come true for her sweet parents, which is why the boho chic dream catcher theme was decided on for this party! 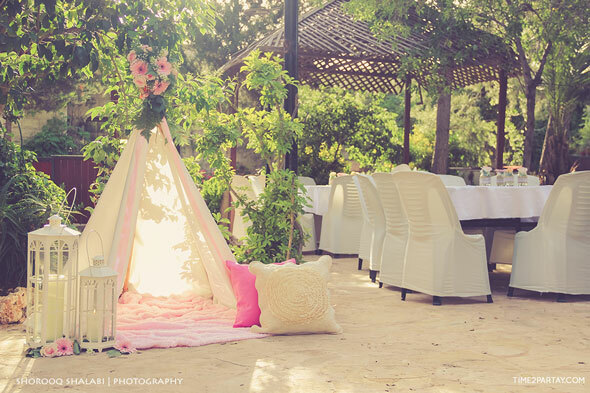 Pastel colors were used and wooden details were added to match the beautiful venue. 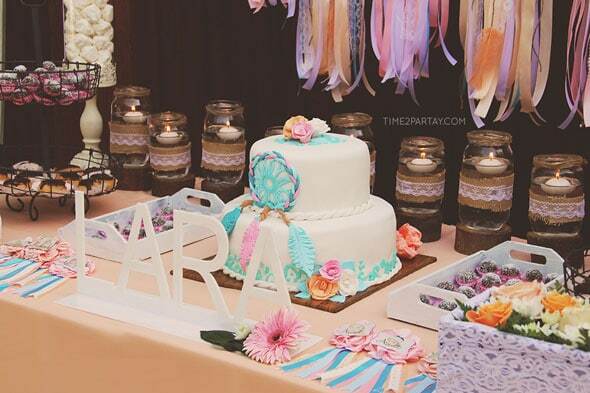 Time 2 Partay created the party concept and styled the event, and the pastel colors are some of their favorite colors to use during the spring and summer seasons. It turned out gorgeous! 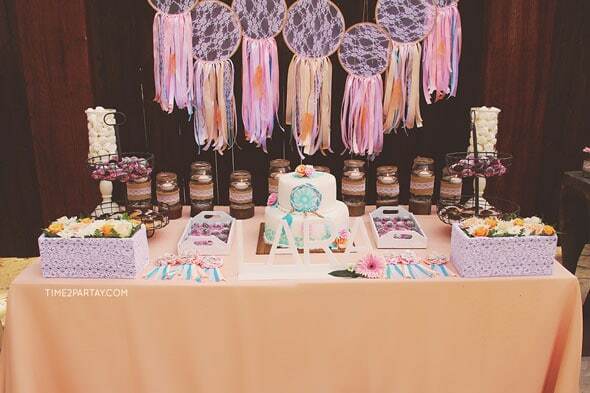 The dessert table was decorated by adding a wooden background, dream catchers made by Time 2 Partay and a peach table cover. 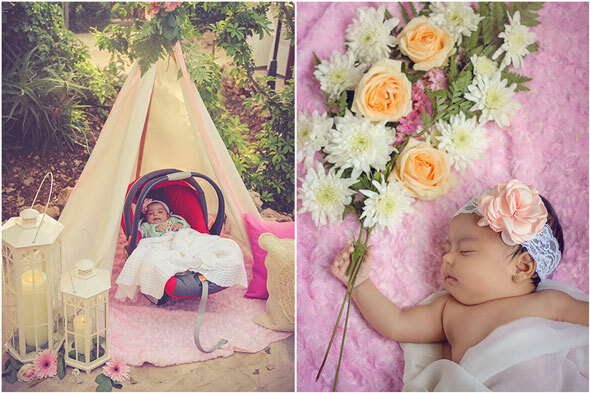 Beautiful pictures were taken by Shorooq Shalabi Photography. 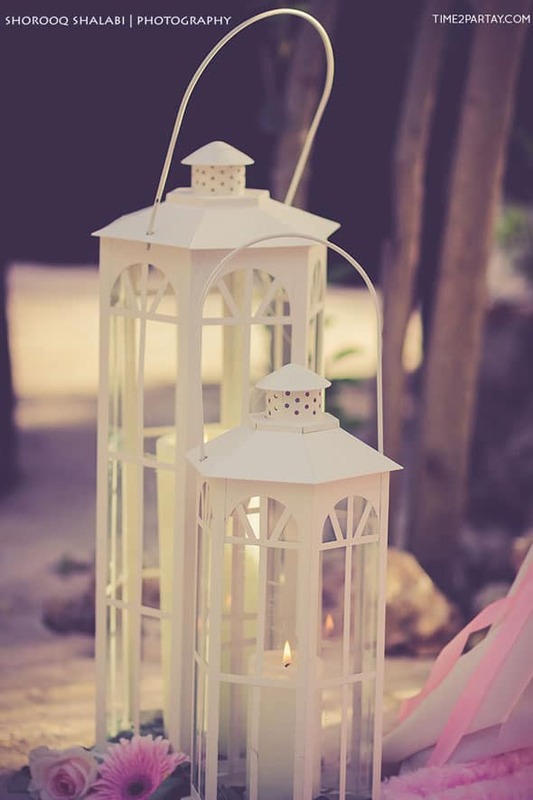 Floating candles were found in decorated jars, along with more mason jars that were used to match the theme and details. 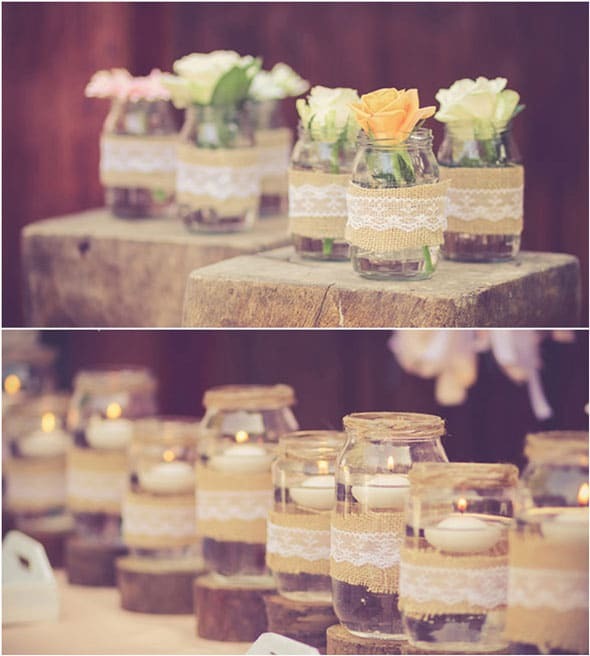 Guest tables each had flowers in small decorated jars with a lace table mat. 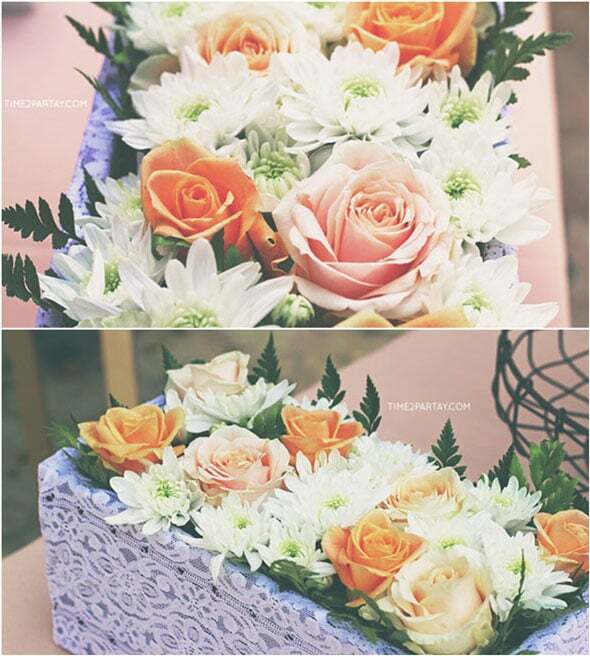 Wooden steps and flowers were also elements that were brought in and were gorgeous! 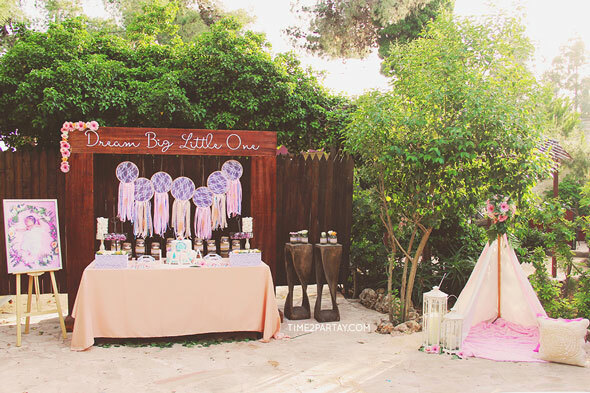 The “Dream Big Little One” on the wooden background was the perfect final detail added to the table, which was created by Time 2 Partay. 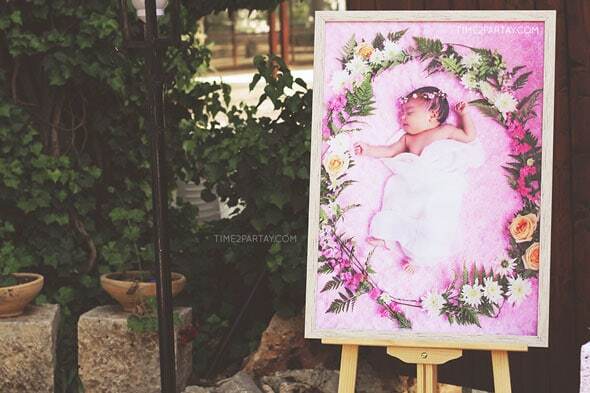 How beautiful did the entire background turn out?! We LOVE it! 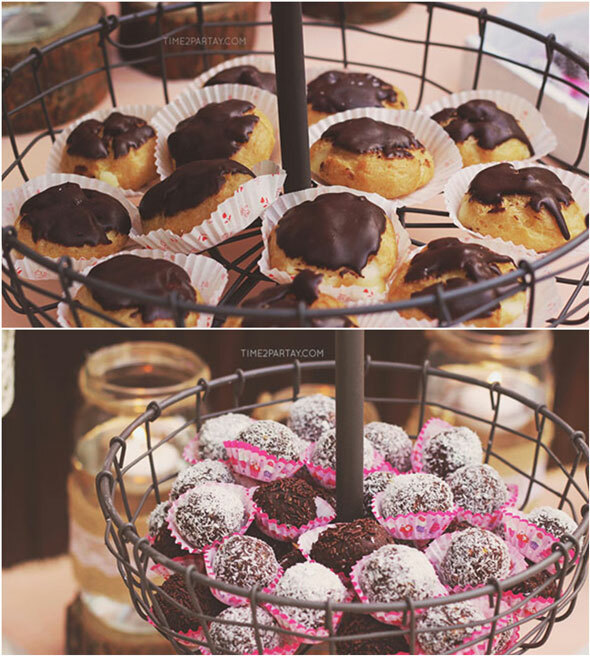 Lara’s mommy made some delicious sweets. 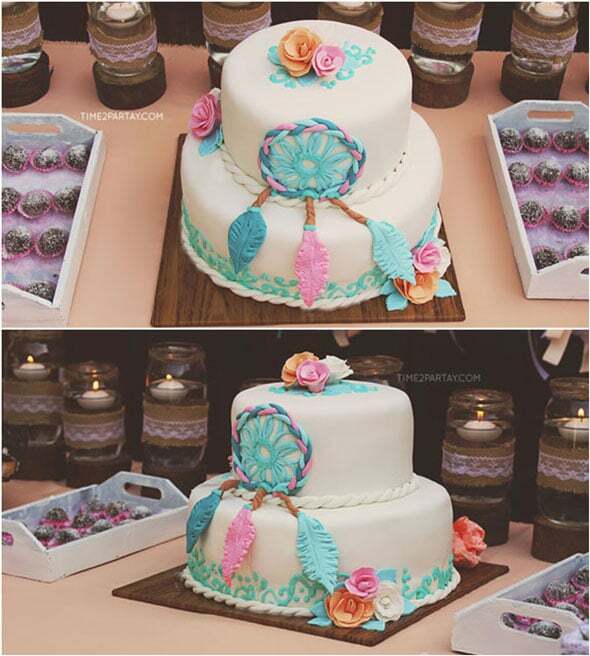 The beautiful cake by Sukkar Cakes was just too pretty to each, but it sure tasted good once it was cut into! 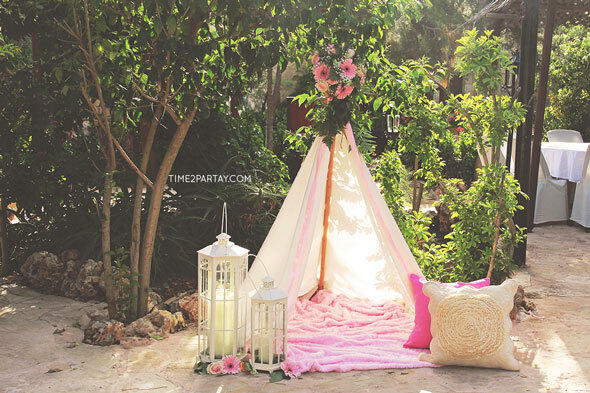 A teepee was used as a photo booth. 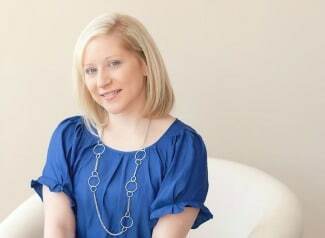 How beautiful and chic it turned out! 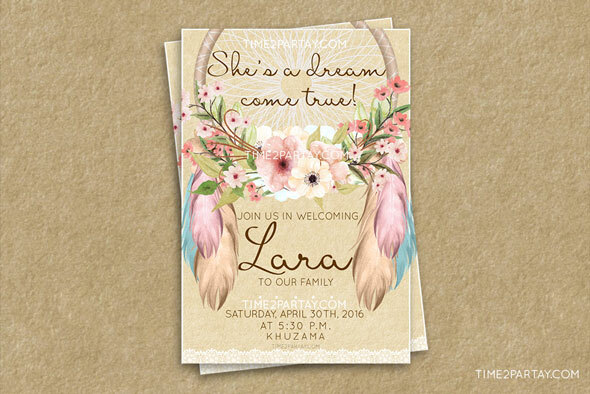 We just love how it fits the whole boho theme with a woodsy, dreamy vibe! 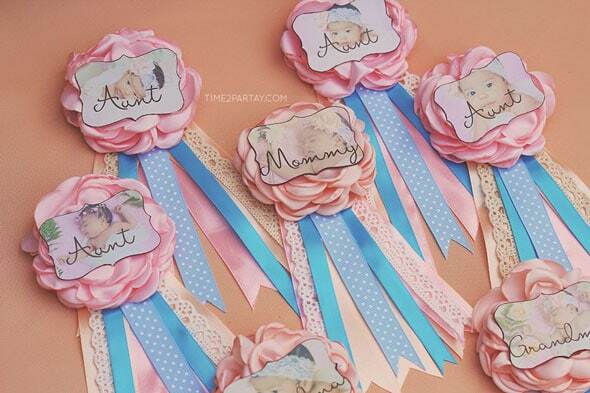 Ribbon pins were made for all of the guests to wear during the party. 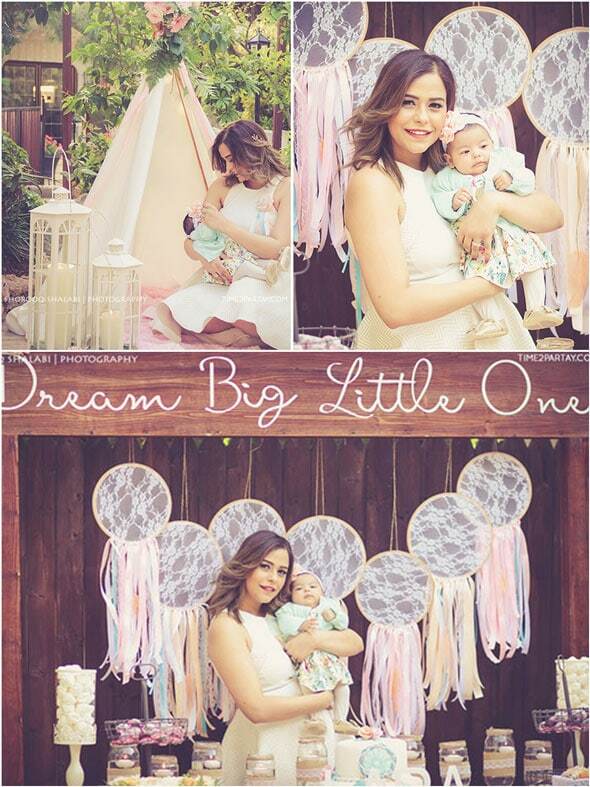 This theme is definitely our (new) favorite theme! 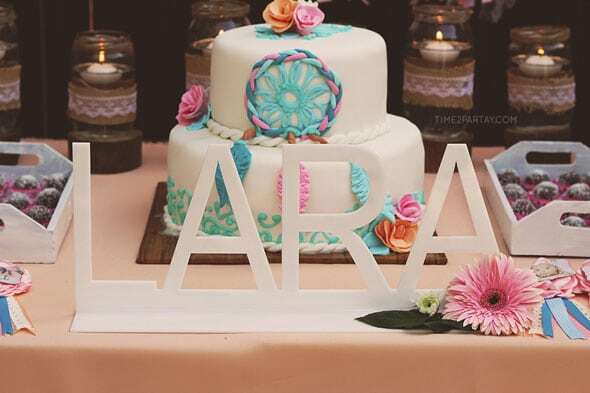 It was absolutely breathtaking and what better way to celebrate a new baby joining a family! Congrats, family! 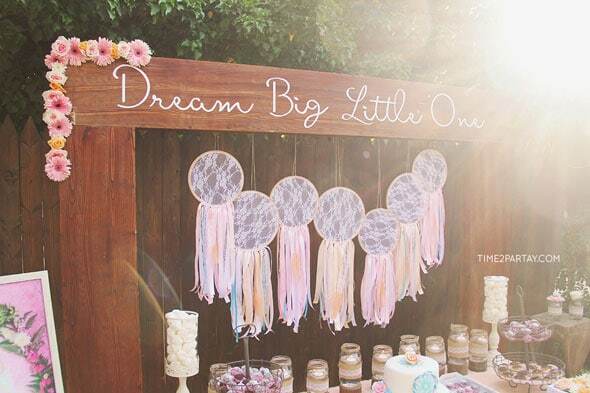 Plan a fun Dream Catcher Baby Shower with these fun party products!